HERE IS A BRIEF INTRODUCTION TO OUR TRAINING. PLEASE VISIT THIS PAGE FOR MORE DETAILED INFORMATION ABOUT THE WHOLE PROGRAM. This 200 hour Yoga Teacher Training course will run over 3 weeks. 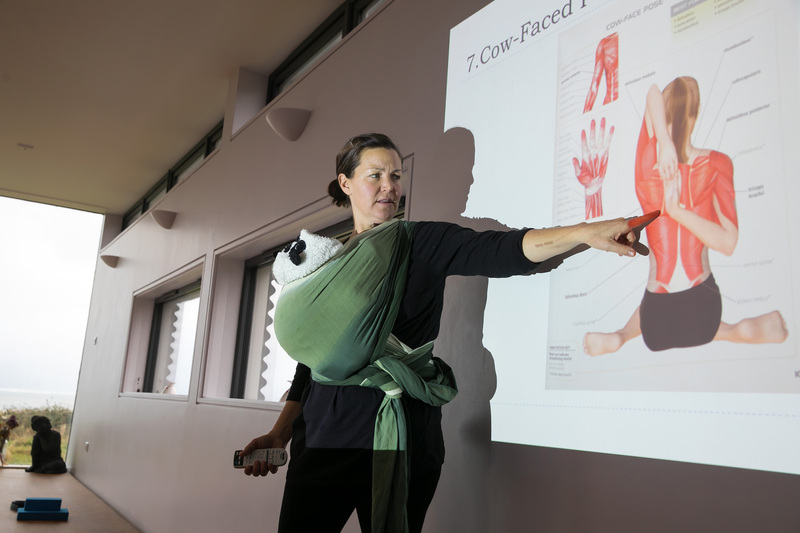 Focus on this course is on Personal Development and Practice, Creating a Safe Teaching Environment, Knowledge of Poses and Sequencing of Classes. There is a strong focus on Teaching Practice with each course participant instructing their fellow students every day on the course. Our purpose for this training is to be authentic and open and to be prepared and present so that we can share our knowledge and love of yoga in it’s many forms and educate our students with passion and experience to the art of teaching yoga. We are creating and growing a yoga community based on integrity, self-reflection and excellence. 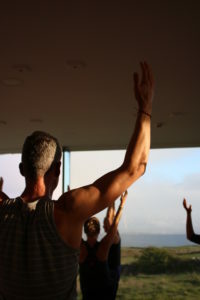 Yoga styles covered: Hatha, Vinyasa, Restorative and Alignment Focused Yoga. *On the two days off, lunch and dinner will not be included. This course will cover Yoga Philosophy, Teaching Methodology, Anatomy and Functional Movement, Teaching Practice, Personal Development, Personal Practice and final assessments. Prior to course commencement, 5 Pre-Training Assignments will be provided to prepare you for the training. Students will also be provide with a reading list of books. Our training will prepare our new teachers to teach authentically, with a confident working knowledge of functional movement and asana and who are fully prepared to lead a number of classes of different styles. Our teachers will be versed in creating a safe teaching environment, will be able to offer Hatha Vinyasa, Hatha, Restorative and Slow Yoga, Meditation and Pranayama. 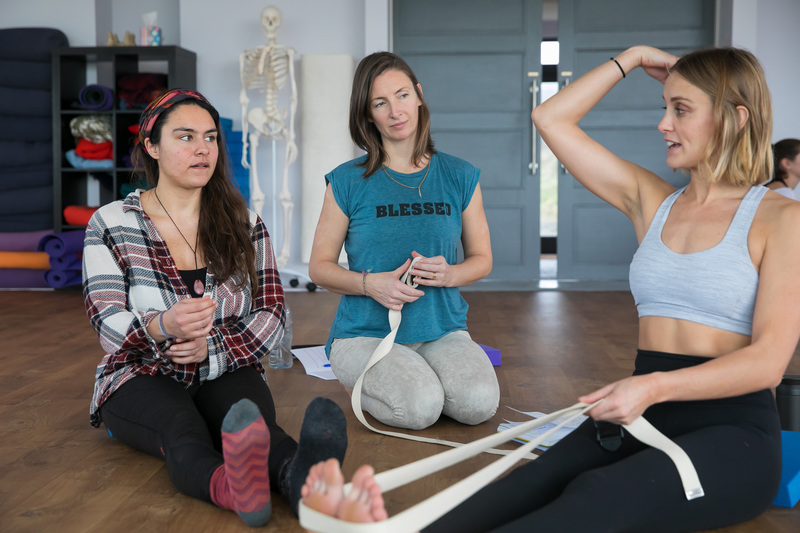 Our new teachers will know how to safely modify, enable their students to progress with advanced asana and will have an established relationship with their own practice. Minimum of 2 years of dedicated yoga practice. Each participant will be expected to attend a telephone interview and submit an application. Food is such an important part of a yogic lifestyle and at our beautiful retreat we believe this whole-heartedly. 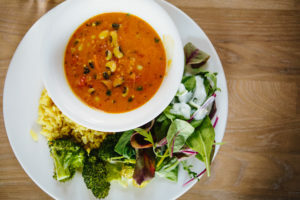 Our clean, organic, vegetarian meals with much of the produce grown onsite, keep our retreat guests coming back year after year and they all rave about our delicious food. 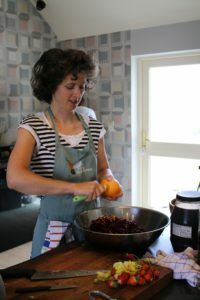 For this special training we will be serving our incredible food with love and gratitude and sharing our methods, ingredients and recipes with you too. During the training we will have mindful eating experiences where we will eat as a meditation and not only will the food nourish and sustain us during this deep immersion but it will be part of the joy, and a fun relaxing part of our day. 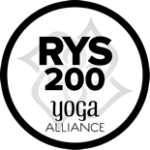 Please see the following links on our website to learn more about our food. Lead Trainer – Michelle Moroney. 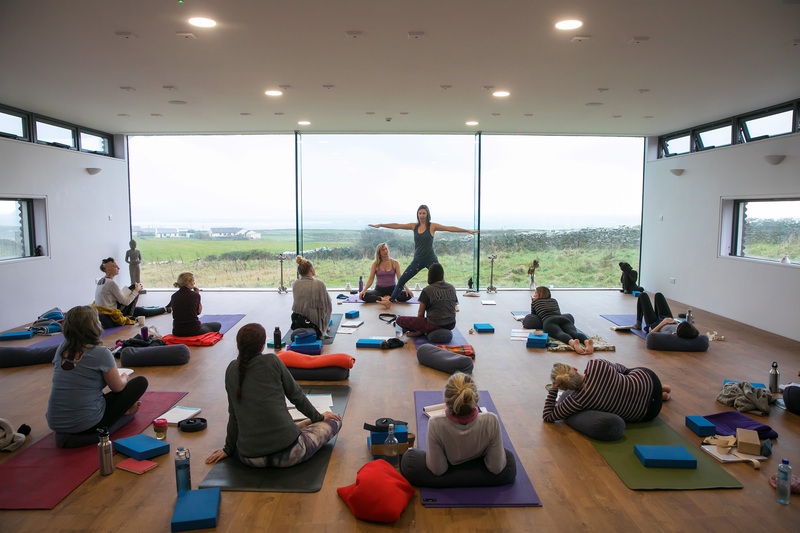 Michelle is senior yoga teacher, certified Health and Wellness Coach and runs her own successful retreat centre, here at the Cliffs of Moher Retreat on the beautiful West Coast of Ireland. Trainer – Dearbhla Glynn. 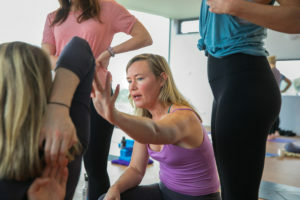 Through her 500 hours of advanced teacher training in the Elbow room Dearbhla has trained with movement practitioners Gary Carter, Susan Church and Yin practitioner Josh Summers. Anatomy Trainer – Lexi Keating. Bachelor’s of Science in Biology (BS), 1999-2003, Springhill College, Mobile, AL,USA Master’s Degree of Physical Therapy (MS) Over 12 years of experience practicing & teaching as a Physical Therapist/Physiotherapist specialising in anatomy, physiology, kinesiology, rehabilitation, injury prevention, functional movement and development. Over 2,400 logged hours served as a Clinical Instructor to Physical Therapy/Physiotherapy graduate students. Due to the limited number of places on our Teacher Training, deposits are non-refundable for any cancellations within 21 days of the start date. Click here to read our full Terms and Conditions. The day is broken into 4 parts. 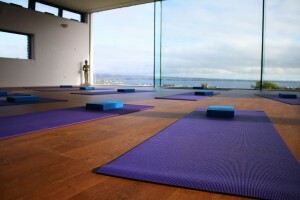 The morning will include a 2 hour yoga practice followed by breakfast. The late morning session will be an academic class with different themes each day, for example: anatomy and functional movement or a teaching methodology session, followed by lunch. 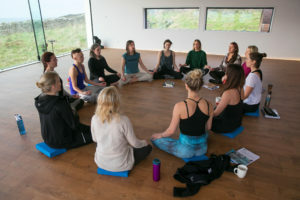 The afternoon session will be 3 hours of teaching practice followed by a break and the late afternoon session will include more practice, meditation, pranayama and discussion. For more information on the schedule please see here. 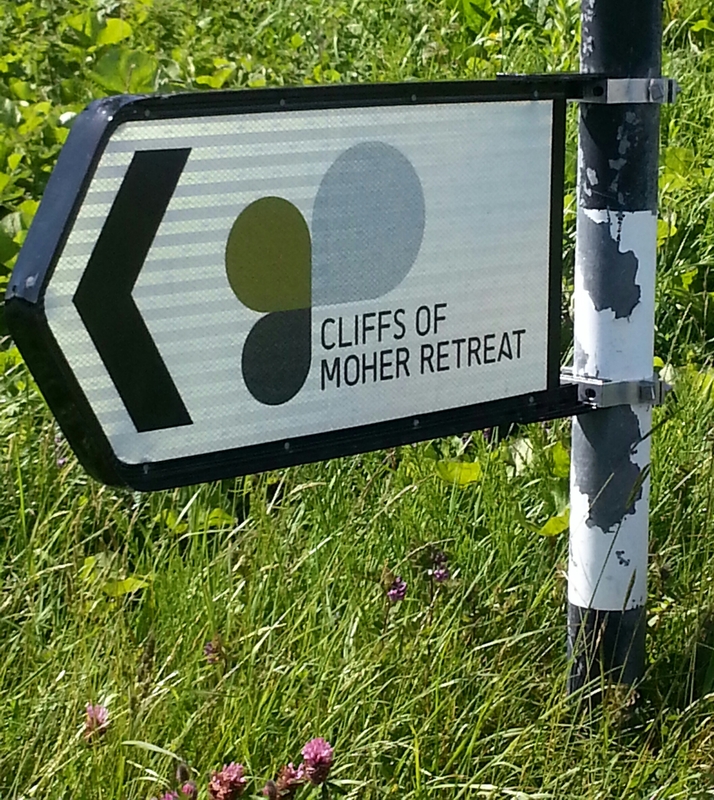 We are 7kms from Lahinch driving straight out on the road to the Cliffs of Moher. As you enter Lahinch follow the signs for the Cliffs of Moher and Liscannor (it’s a right turn before you come into the main street of the village). Drive along that road, with the golf course on your left. After 4 kms you will reach Liscannor Village. Continue driving through Liscannor Village. After another 3kms turn left, just before The Rock Shop (which is on the right side of the road). After 200 metres you will reach a crossroads, turn right. Continue up the road for approximately 750metres, we are the third property on the left, you will drive up a long driveway and we will be waiting for you there! My flight gets in earlier than the 4pm check in, can I come earlier? We will be preparing the retreat centre at that time and if a group checked out that day your room will be not be ready if you are arriving very early. We recommend getting the taxi to drop off your bags and then taking you into Lahinch. We are isolated and there isn’t anywhere to get lunch but Lahinch has cafes, restaurants, shops and a lovely beach. Your taxi can arrange to collect you again later. My flight arrives a day in advance - can I stay an extra night? hotels, hostels, B&B’s, shops, pubs, cafes and restaurants and a lovely long beach. My flight leaves the next day - can I stay an extra night? We don’t have guests staying an extra night as the centre is closed after a retreat. There may also be a retreat starting. hotels, hostels, B&B’s, shops, pubs, cafes and restaurants and a lovely long beach within walking distance. I arrive into Shannon Airport, what's the best way to get to you? Please visit our Getting Here page for full details. Will I be able to share a transfer from Shannon airport? It will depend if there are others on the same flight. We will not know this at the time of booking. get back to the airport as you can look into public transport or get a lift with another guest driving past the airport. We have wifi for guests in our media room, a comfortable room to read, relax and get online if you want to. Can I get a single room? We have a limited number of single rooms which are booked on a first-come-first-served basis. Prices are €35 extra per night. Please contact to arrange. I'm coming on my own can you pair me to share? We can pair you with someone of the same gender. We provide towels, hand soap, hair-driers and yoga equipment, please bring anything else you require. I'm new to yoga, will the retreat suit me? We get beginners all the time, and everyone is welcome. I have a severe food allergy , can you accommodate me? Yes we can, please can you let us know your severe food allergy upon booking. Is alcohol served/allowed at the Retreat? No, we are a dry facility but there are some wonderful pubs in the area that we can guide you to and we can also provide you with some taxi numbers. How do I arrange a massage during my stay? We are limited for treatments due to having only one therapy room. With a full retreat program there are only certain slots available, for example, on a weekend retreat there are only 3 massage slots. If you know in advance that you would like a treatment please contact us to arrange. I'd like to book a surf lesson/activity, should I do this before I arrive? It is a good idea to make sure you can get a place. The details for recommended tour operators are on in the section The Area. What kind of yoga do you teach? All our teachers are extremely experienced but each teach their own style. Please see the individual retreats and teacher’s biographies for more specific details. Michelle is senior yoga teacher, teacher trainer, certified Health and Wellness Coach and runs her own successful retreat centre, the Cliffs of Moher Retreat on the West Coast of Ireland. Get all the latest news, recipes and special offers first! Gift Vouchers ‒ Buy a gift voucher for your loved one.